Home. It is where every person wants to be during the Holidays. For the Scarlettes, home is Vancouver. Vancouver is magical during the holidays. There is no shortage of festivities and events to take your family. On December 3rd, Sweet Scarlet was part of one of these local magical holiday events: Yuel Duel. 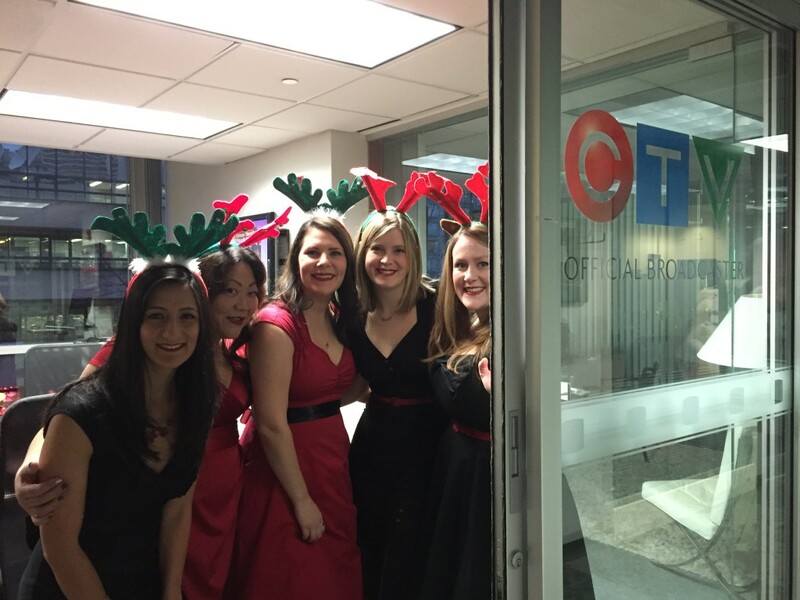 To start our day, the Scarlettes had the pleasure of appearing on CTV’s morning news to discuss the exciting event. Later, Vancouver’s iconic Gas Town was filled with the sounds of over 20 musical groups. 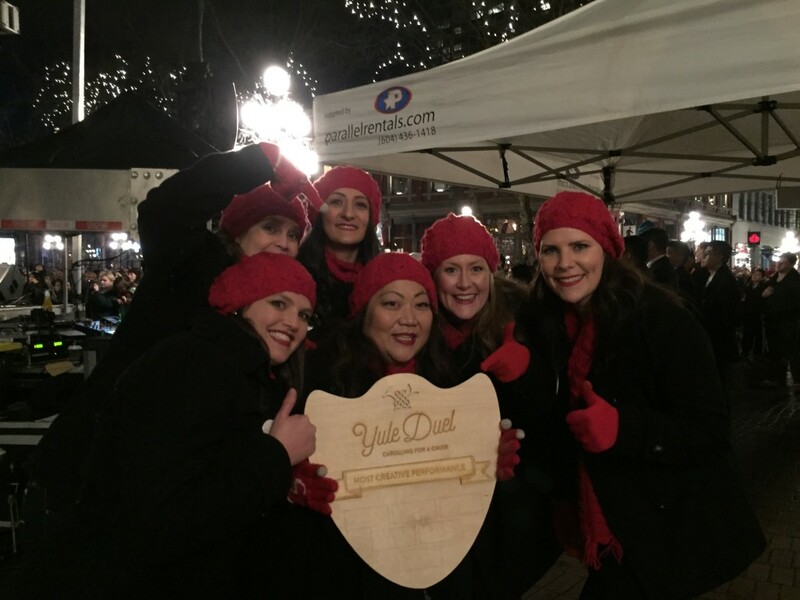 The groups ranged from choirs to small ensembles, and the collective holiday enthusiasm was infectious. And we are SO EXCITED to announce that we won Most Creative Performance! AND were voted one of the top 3 People’s Choice Choirs! It was SUCH a fun event to be a part of and we can’t wait to participate again next year! Being home for the Holidays is so essential for Sweet Scarlet, that it is the title and theme for our self presented show. We hope to see at our December 13th Home for the Holidays show at St. James Hall in Kitsilano so we can share some of what “Home” means to us. To this particular Scarlette, “Home” is a welcoming, warm and loving environment. The feeling of home can be recreated without actually being in one’s hometown. That is the feeling we hope to share with you on December 13th. The six Scarlettes combined have several decades of musical experience that we bring to the table. This is hugely beneficial when we are selecting repertoire. Our talented Eran, for example, has been a part of three different a capella groups. That is how Eran came to know of this beautiful song arrangement. Don’t be fooled by the songs short length, because it is jam packed with beautiful (and sometimes unexpected) chords. If you are joining us at our December 13th show, remember to sit back during this song and think about what “Home” means for you.